Recycled shopping tote bag made of non-woven polypropylene. Tote bag with open main compartment. 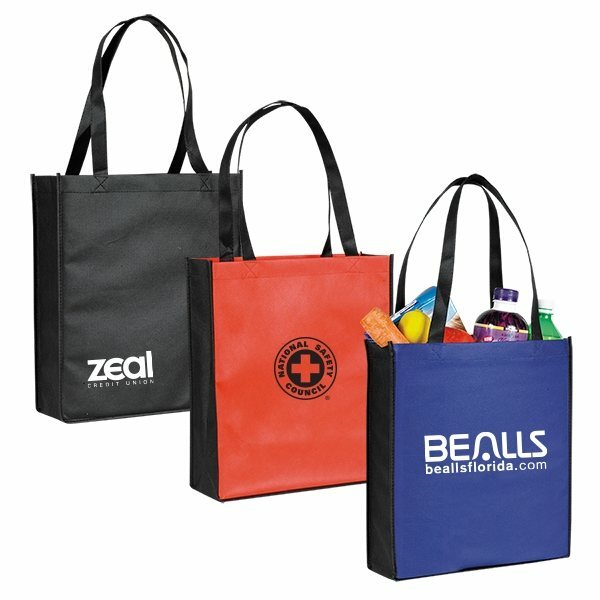 These totes are ideal for tradeshows, picnics and travel as they are light weight and can be packed away! they printed the logo on two sides and it was great quality Most importantly, Veronica really helped us get the order in on time and anticipated many of our questions so that answers were quick and clear.